Posted by fruitsofknowledge in Da'wah. Conveying the truth day and night, secretly and openly, 950 years in the undertaking. Yet, the nation of Nuh (a.s.) did not believe, clutching on to their false deities. 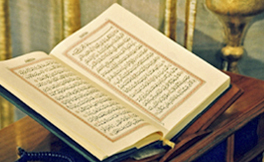 On the contrary, the Jinn – who heard the Qur’an for the first time from the Messenger of Allah – acknowledged the truth, accepted their faults, and embraced faith. There is a clear distinction between the attitude of the former and the latter. The nation of Nuh (a.s.) were obstructed from the truth by their arrogance, which caused them utter loss in this world and in the Hereafter. Whereas, we see the Jinn who humbled themselves to the truth, to the words of the Qur’an, and in turn scrutinized their false thoughts. Thus, this acceptance led them to return to their nation and convey to them the truth, that which saved them from what could have been a potential loss. The patience of Nuh (as) is also worth a mention. Despite conveying for so many years, his nation did not even support him, let alone accept the message that he was sent with. In contrast, the Jinn at the time of the Prophet (s.a.w.) recognized the truth and the oneness of Allah instantaneously. The efforts that one puts in the way of Allah, if done with sincerity will never go to waste. Even if apparently the entire crowd rejects your call, mocks at your endeavors, jeers at your honesty, there may be one out of the many who has listened to what you had to say. The fruits of these efforts, if not seen in this life, would definitely be brought forth on that day when only a person’s good deeds would be his currency for salvation.